Say hello to your baby's first best friend! 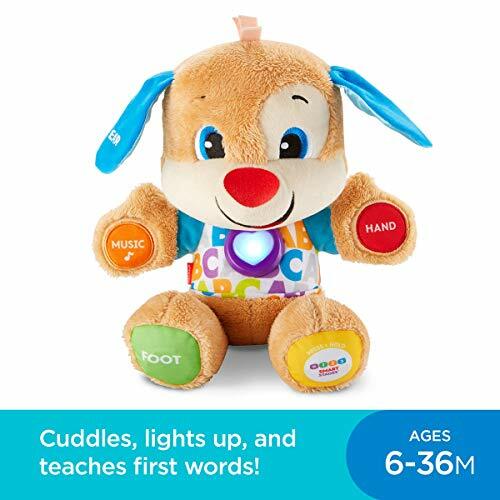 Puppy is soft, cuddly, and he's ready to make sure learning fun never ends. 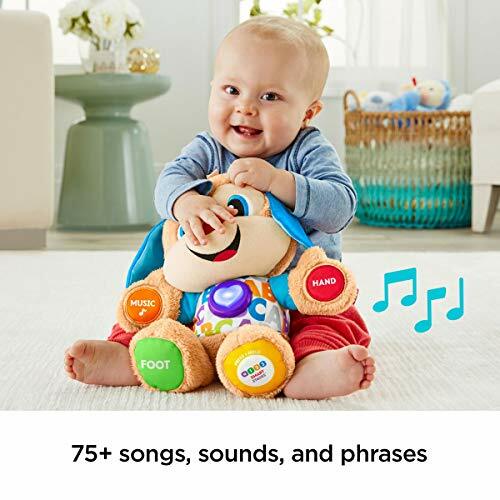 He responds to your baby's touch with exciting sing-along songs and phrases that introduce more than 100 first words, parts of the body, colors, shapes and more! 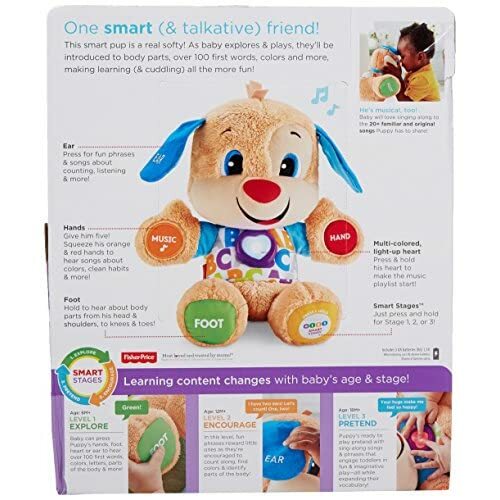 And because every baby develops at their own pace, Puppy comes with Smart Stages technology, so you can choose the level that's best for your child. There are a variety of songs, sounds and phrases within each of the three levels of play. And Puppy's light-up, multicolor heart even twinkles along to the music! 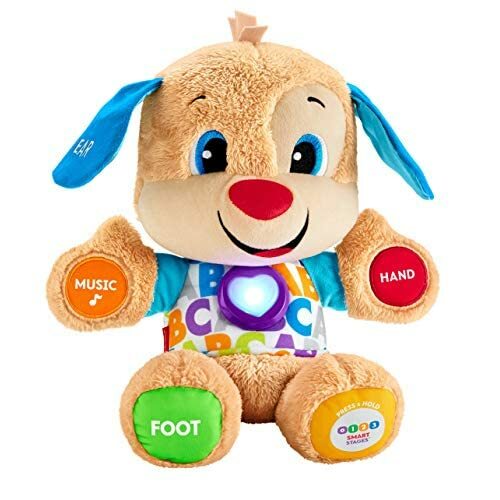 Level 1 – Explore – Baby can press Puppy's hands, foot, heart, nose or ear to hear first words, colors, the alphabet, parts of the body and more! 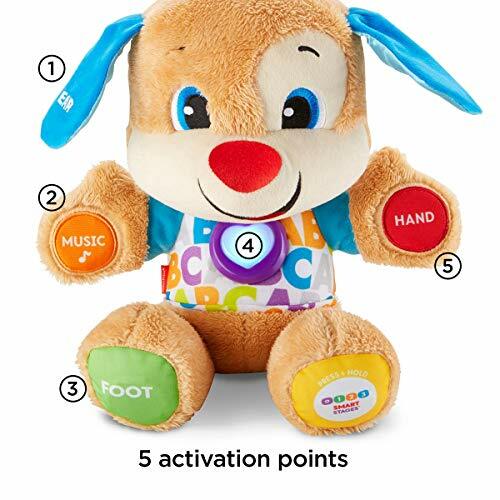 Level 2 – Encourage – In this level, fun phrases reward little ones as they're encouraged to count along, find colors, and identify parts of the body! 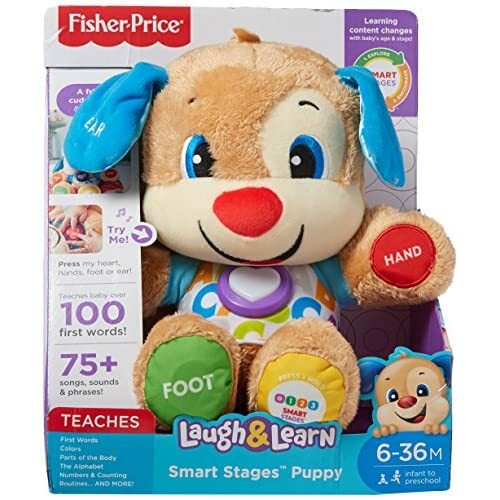 Level 3 – Pretend – Puppy's ready to play pretend with fun sing-along songs and phrases that engage toddlers in exciting and imaginative play, all while expanding their vocabulary!